Join us for a great adventure with new friends, games, crafts, music, and food, where kids can learn the truth that Jesus carries them through life’s storms. We’ll begin each evening at 5:30 with a meal together, and then have a great time getting to know one another, and Jesus, through great activities! 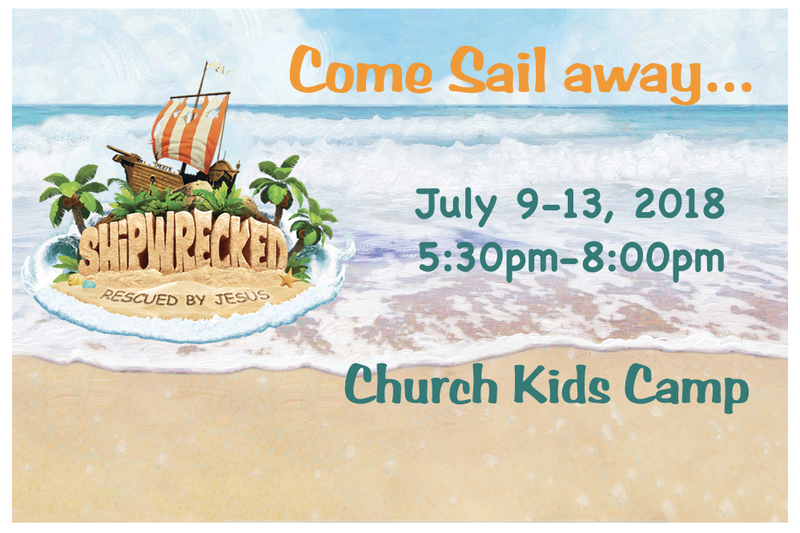 Â Each child participating will get a Shipwrecked t-shirt, and registration is only $15. Â We’d love to have you join us! Or download the form and return it to us, along with the Medical/Photo release form.